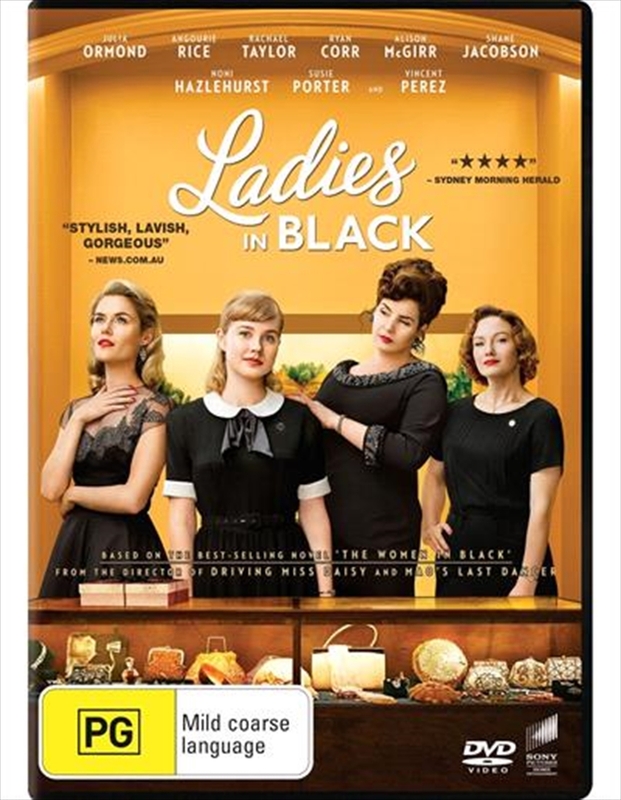 Adapted from the bestselling novel by Madeleine St John, Ladies in Black is an alluring and tender-hearted comedy drama about the lives of a group of department store employees in 1959 Sydney. Ladies in Black is set in Sydney in the summer of 1959, against the backdrop of Australia's cultural awakening, breakdown of class structures, and liberation of women. It tells the coming-of-age story of suburban schoolgirl Lisa, who while waiting for her final high school exam results with dreams of going to the University of Sydney, takes a summer job at a large department store. Here she works side-by-side with a group of saleswomen who open her eyes to a world beyond her sheltered existence, and foster her metamorphosis.